"Very complex, issues with feature creep"
I think this is a great product if you need to take care of multiple aspects of the job. It allows employees to submit the time they worked, request absences, see their next paydays, update their own information, and much more. This software requires the employees to know how to use the software at an extensive level to which I don't think they're intuitively equipped. There are simply too many features to account for and it's overwhelming. In this case, I think this product suffers from feature creep. Be sure that you explain how the software works. The benefits are being able to submit your timetables with much more ease and efficiency, assuming that everyone fills this information in correctly. Workday is so organized. It is easily accessible and easy to teach. 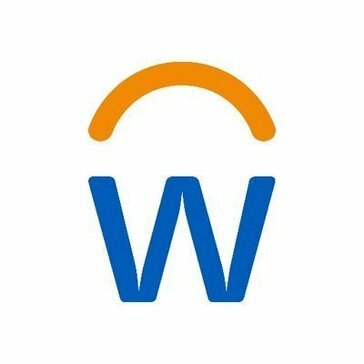 Workday also has an app. Sometimes it freaks out on me. It also doesn't have all the features a browser would have. If you want to easily access everything you need to work, get it. We used to have a hard time tracking POs of the different departments with the program we used to use. Now, all we have to do use use the search bar, and it will pop up. It is also nice that when you login, all the things you need are in one tab. With the other program I used to use, I would have to login to different websites all the time to see my payslip, schedule, etc. "Great Program for a working college student!" I like that this program is easy and uncomplicated to use! I am easily able to clock in and out and it is simple for me to track my work hours both on a daily and weekly basis. I do not like that the multi-factor verification can be difficult to utilize if I am somewhere with poor service. Workday Student makes this so much easier to track my hours and my working schedule! I am able to keep myself and my working on track and make sure that my hours are accurate and correct every week that I am getting paid. The huge benefit in my position as a user is my ability to look back and see my daily, weekly and pay period hours. This helps me to further keep track of my finances. "Works well - probably one of the better solutions on the market"
Definitely one of the most user-friendly SIS's I've come across. Most places tend to rely completely on Oracle (nightmare). Ease-of-use, to me, is just as important as utility. Could use more functionality and would love for it to "feel" faster, tighter, more responsive, and overall more a tad more enterprise - but hopefully that will be resolved in future versions. 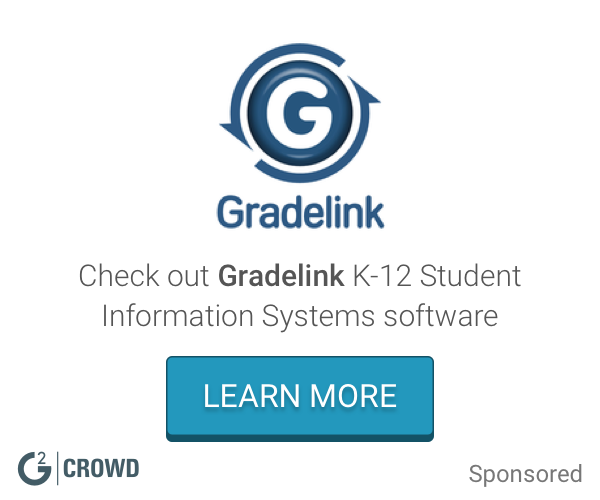 The obvious - offering our student body an information system to manage and view records. It's a given business need if you're in the higher education space. More competition in the arena has been good to see. Workday is an excellent app that has all things HR for my needs. I am able to easily access my paid time off, my work 403B, my online discounts, as well as my status in the company. The app has a few bugs when logging in and saving the password. I also feel that the app needs to incorporate KRONOS software. I recommend spending the time to teach the users how and where to access all of the information. The app has everything that a company could need to provide, it just takes the time to figure out where it is located. We use this app to help keep everything organized and allow for students and workers to access everything from their cellphone. The user interface is nicely designed, with large and clearly labeled buttons and other features. Also, the design is fairly intuitive. Most students easily pick up on how to use this tool. Some features are redundant and not obvious. As a result, they require continuous explaining and it can be difficult to contact students to train them correctly. Overall, this product is very helpful. It significantly cuts down on the amount of paperwork and outside tracking of students. As someone who has worked in different higher education institutions managing students, Workday is not significantly better in terms of practical applications of student management. However, it is mostly easy to use for students and staff and is a powerful took in terms of being able to do many different tasks. "Used it for work, it was fine"
It is a simple design. It was always pretty easy to use and straightforward. I never had problems with actually logging in hours. I wished there was a phone app for the portal. I think that would have made things more convenient. Also, it was really difficult to find your company's Workday page unless you had the specific url. Personally, I feel like a username and password and possibly a simple url extension should be enough, but I always had trouble logging in from another computer because the url was too complicated. Just be wary that the site may not be as easily accessible as one may hope for. Regardless, it still serves its purpose and I feel like it is reliable as a company. The workday interface is clean and easy to use. The calendar format for entering work hours makes it easy to log and keep track of your work hours. Another useful feature of Workday is that it is possible to complete documents for Tax and other legal requirements using the software. The fields are easy to fill and the information is then used to generate the required documents. It is difficult to open documents using the Workday interface. When you request to view a document, it asks you to wait for few minutes or to be notified later. The names of the generated documents are very complex. Using the current system of notification and complex names, when I click on multiple documents to be opened, it gets very confusing as to which one is what. Its notification system can be improved. There are times when I was not even aware that I had important messages in my payroll system. Email notifications and other forms of notifications that highight the importance of the message can be very useful. I use Workday student version to fill in my everyday work hours and get paid accordingly. The biggest benefit of using the system is that it stores all kinds of employment details and documents that include payroll information. It was a fairly easy to onboarding and I did not struggle to understand how to use teh software. I liked the way that the information and buttons have been placed. The informations are in the right category. "my school switched to Workday"
As a graduate student in Louisiana State Univesity, I am using workday to check my payments, any official documents, travel reimbursement, and so on. In the beginning, it was too hard for the staff to assign correct contract numbers or upload correct information. But, afterwhile, it went smooth. Since Workday is a unified system, I recommend it to other schools too. Here in LSU, all students, faculty, and staff have a Workday account. Every official document are managing in Workday. Generally easy to use, had a little trouble with giving my direct deposit information but that could be at the fault of my employer rather than Workday itself. Nice that there is an app to use on the go. Each team member keeps track of their own hours logged which can later be approved. Easy to keep track on a person to person basis. Workday allows you to record the time you have worked in a fast and simple way. There is a feature that allows you to set the same time frame worked over multiple days which makes things extremely easy! It takes some time to figure out how to input multiple days of the same time. I wasn't able to attend a training so it definitely took up a good bit of time trying out the different features. Putting in time as I worked was much easier than the paper form we had used previously. I could complete the log after a shift and just submit at the end. UI is easy to navigate and use. Has a lot of functions/features combined in one website. Sometimes hard to find certain things I want. Too less tutorial to go through the dashboard and explain the items. It would be better if I can see the current status and also expected received time for things I'm waiting to get. The website could be more interactive rather than just presenting a lot of information for me. I was recording my work-time at school using Workday Student. Easy to track and manage. I really like Workday. It is a great tool. I love the worklets. It’s so easy to find what your looking for. Everything is at your fingertips on the home page. I don’t like that when you search for something, it takes you back to the beginning instead of the previous page you were on. Definitely get it. It’s a great resource. As a student, I think it is a valuable tool. It helps unite our campus and make us operate as a single body. I think that’s very important when having such a large group. "It's fine. Sometimes a bit difficult from worker side"
Everything is there, in a friendly, not-terribly-difficult-to-navigate presentation. The messaging system is a bit of a pain, and it's not always clear where different menus/interfaces are located. It's fine. You aren't going to run into unexpected problems. As a user, you probably don't have much say, insofar choosing a different software to accomplish these needs. Workday had been fine for what we've needed to do. While it's hard to get *excited* about this kind of software, I and my collaborators have really had no problems with it. We've used this to manage research assistant payments. It's been easy managing them all from one place, rather than checking in, through emails and asking them to track hours on something like a spreadsheet. Benefit is that we're spending less time managing payments and time-tracking, and more time actually getting things done. "Good System - efficient and effective for small colleges/universities"
The capacity for external and internal individuals to interact with it - for both hiring and maintaining personnel. Make sure you're working closely with customer support when making UI when it comes to vacation/sick/hourly wages. Sometimes you may mess up and have your workers navigating unfortunate work-arounds for documenting information. Hiring Student Workers. It was accessible through both mobile and desktop technology - and it was easy to connect students with required data. "used Workday for 2 years, no issues"
"New system and it is easy to use!" I like the ease if use this system has. The human resource and payroll sections are flawless. This is brand new and I have not experienced anything negative yet. The system runs very efficient. Enjoy the ease of use and simplicity! Payroll and human resource needs. "Great platform to bring all HR documents together including payslips, insurance etc. " Easy to navigate, the pages are simplistic so there's not too much clutter. Sometimes it is not as organized as I'd like it to be. Takes a white to find things. Easy platform to gather all HR information for jobs and benefits. "Academic material review and messaging"
Great central hub for resource organization, messaging, and structured material review. I like the calendar and reminder function within the platform; this is helpful to stay on track. As mentioned above, the scheduling/reminder function WITHIN the platform was great, but I wish this could have been further integrated with personal or Google calendars. Academic training and refresher courses as well as scheduled outreach messaging to manage materials. "Review of a Convenient Tool"
It helps students in a easy format. It has a nice interface. I able to view pay stubs and benefits. I enjoy the mobile tool. It takes a long time for forms to load at times. It can use better with the duo factor authorization. How information get transmitted and organization of the information. "User Friendly portal for the future"
Its so easy to use. Everything is clear and minimizes clicks and easy to look at. It looks a little like a child's toy, but in a good grown up way. honestly not much. It definitely meets the needs of our use. Its much more cooperative with our other systems and easy to navigate so it cuts back on time for training and use. "Workday is an effective tools"
The best thing I like about workday is its visualization and accessibility. it is very user-friendly. Well, there is nothing I don't like about it. It is all good and the only recommendation is to make it a little faster. Provide all the required information regarding the courses and personal information. Nice, clean design. Easy and intuitive to use. Sometimes when I want Workday to do something, it gives me errors that I cannot fix. All in one portal that allows me to access all the info I need/to process. Of all the applications I have used, this is one that has helped college students very well and I have used it before. The marketing tactics should reach out to specific students or colleges because it could benefit more people better. To use the application to as much as possible. I haven't noticed any problems, but often times there are times that the application needs to be updated often for phone and ipad versions. Workday easily allows for employees to track time. Workday is not user friendly for missed clockouts. Tracking individuals time and vacation. "Convenient Tool for Tracking Pay/Benefits"
Workday allowed me to enter all my salary paperwork online, and I can easily update this information or check a pay stub. The two factor authorization to log in can seem like a bit overkill. I think it saves our HR department a lot of hassle, and it also allows student employees to submit paperwork without having to go to HR in person. I love how easy it is to use and how similar it is compared to the employee workday. Wish there was more customization and automation. "Got the job done "
I like the most about this software that is easy to use, very simple and organized. Used the software to record the time-sheets in a fast way. Very easy to submit, change and approve working hours. I like the easy-to-use interface with large buttons. It makes the mobile usage much easier. Sometimes it takes some of the PDF information a long time to load. Understand what pieces of the product you might use, potentially not implementing the entire product if not necessary. We are solving ways to transmit and house information. I like that this is very easy for payroll functions. I dislike that it may be sometimes hard to navigate. * We monitor all Workday Student reviews to prevent fraudulent reviews and keep review quality high. We do not post reviews by company employees or direct competitors. Validated reviews require the user to submit a screenshot of the product containing their user ID, in order to verify a user is an actual user of the product. Hi there! Are you looking to implement a solution like Workday Student?